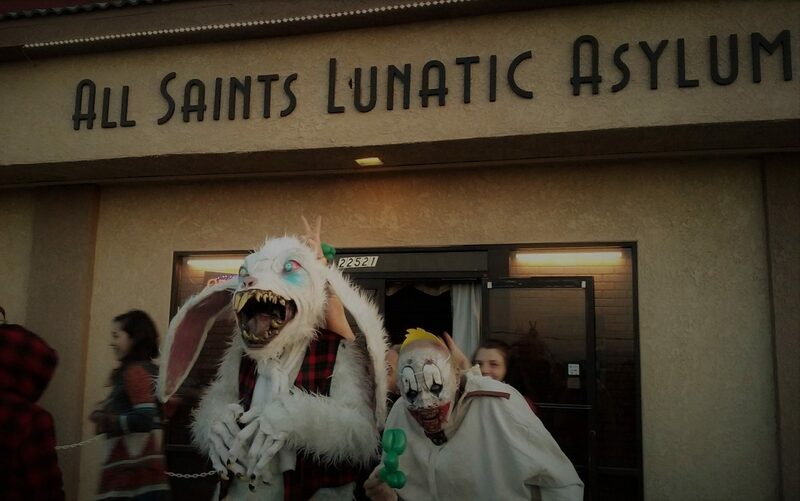 The second installment of our Last-Minute Recommendations for Halloween 2014 suggests some must-see haunted houses and rides. Because our goal is to help you prioritize your schedule during the remaining dates of the Halloween season, we have omitted shows you cannot see because they are sold out, and also shows that you can see later because they extend past the first weekend of November. The FrightFair Screampark is having its final Halloween at Pierce College. The Creatures of the Corn Trail is spooky fun as always; the haunt's signature Tesla coil (retired for several years) is crackling in full glory in the Insane Reaction Maze; and the Factory of Nightmares Haunted House has had a do-over that makes it feel like new. Though a bit old-school in its approach (it's more fun house than haunted house), the Factory of Nightmares retains its ability to shock and surprise, thanks to the Herculean efforts of its cast, for whom a single jump-scare is never enough. FrightFair is the longest-running independent Halloween haunt in Los Angeles, and its potential demise portends the end of an era. Don't miss what could be your final opportunity to enjoy the haunt's horrifying offerings. FrightFair's remaining dates are October 330-31 and November 1-2. The address is 20800 Victory Boulevard in Woodland Hills, CA, on the corner of the Pierce College campus. For their official website, click here. 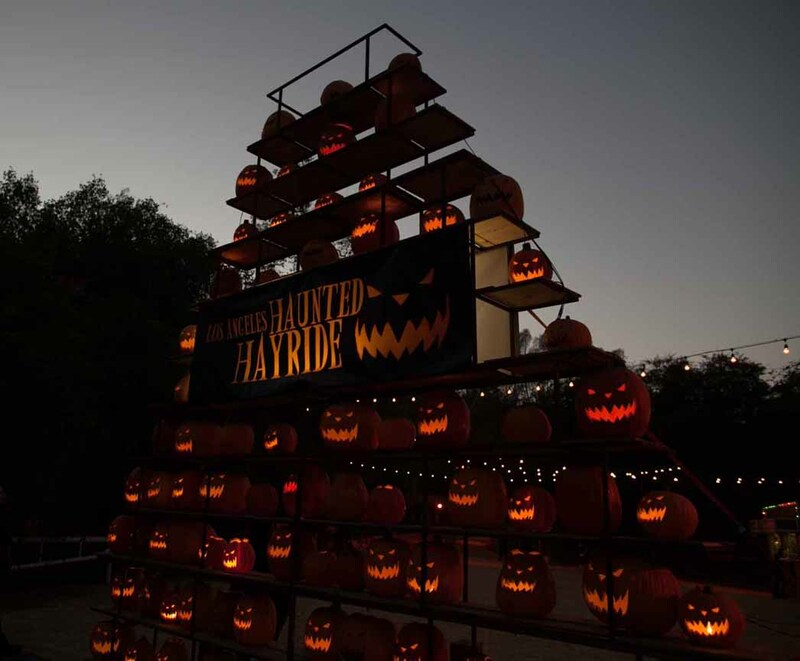 The Los Angeles Haunted Hayride is bigger and better than ever this year. The additions for Halloween 2014 are grand in scale, and this year's theme, "Echoes from the Rift," offers a horde of demonic characters and spectacular situations simulating Hell on Earth. The other attractions (the old In-Between Dark Maze and the new Seven Sins Sideshow and House of the Horsemen) remain adequate supporting features; the true star is the Haunted Hayride itself, which takes you on a nightmarish trip through terra firma overrun by infernal forces, offering some of the most amazing sights of any Halloween attraction in Los Angeles. Absent chainsaws and showers of blood, this year's L.A. Haunted Hayride may not match the gruesome levels of previous Halloweens, but this is by far the most visually stunning incarnation of the ride to date. Achieved with a verve and aplomb that deserve screams of admiration, the scenes and effects create an experience that outshines the more expensive and elaborate back lot tram tour at Halloween Horror Nights. We recommend you take the hayride - not once but twice or more. The a360-degree experience will astound you no matter where you sit in the trailer, but there are certain aspects that are easier to see from one side or anther, making it worthwhile to take at least a second trip. The Los Angeles Haunted Hayride continues on October 29, 30 & 31; hours are 7pm to 10:30pm on Wednesday and Thursday, 7pm to midnight on Friday. The address is Griffith Park Old Zoo, 4730 Crystal Springs Avenue, Los Angeles. Click here for the official website. Los Angeles Live Steamers Ghost Train offers a twenty-minute tour on a 7 1/2-inch gauge model train, which takes guests past dozens of spooky scenes, including elaborate decorations and special effects. The effect is eerie and perhaps just a touch scary, but not disturbing at all - there are no costumed characters or jump scares, and even young children should enjoy the ride. The Live Steamers Ghost Train was Hollywood Gothique's pick for the best Halloween ride of 2013. 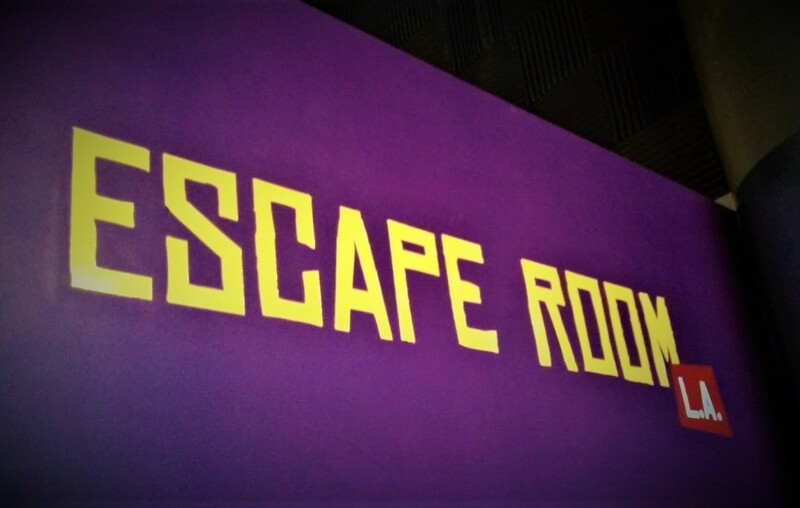 The sheer volume of sights and sounds, including some spectral illusions created with projections, makes this a must-see for children and adults. Find a place for it on your calendar. 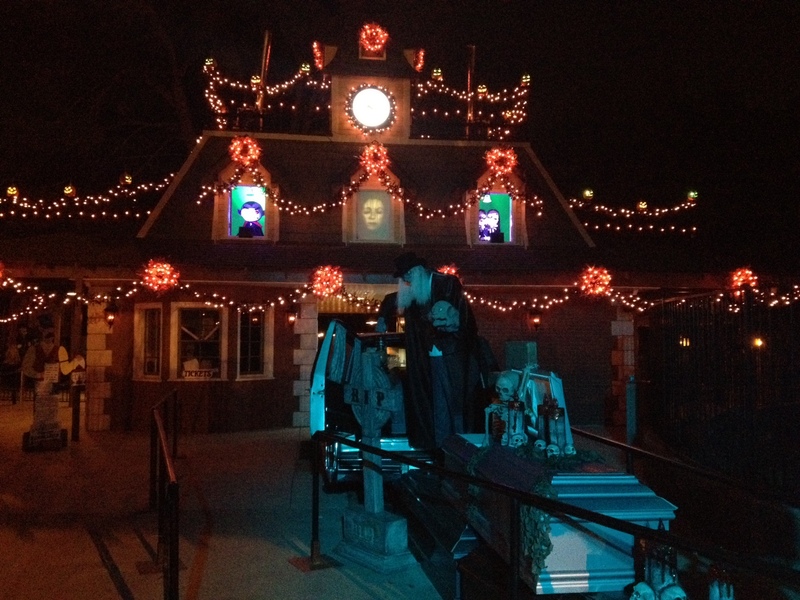 The Ghost Train continues to leave the station on October 30-31 and November 1-2. Hours are 7-10pm. The location is Griffith Park, 5202 Zoo Drive, Los Angeles, CA 90027. Tickets are a $10 donation for the non-profit Los Angeles Steamers Society Click here for the Los Angeles Live Steamers website. 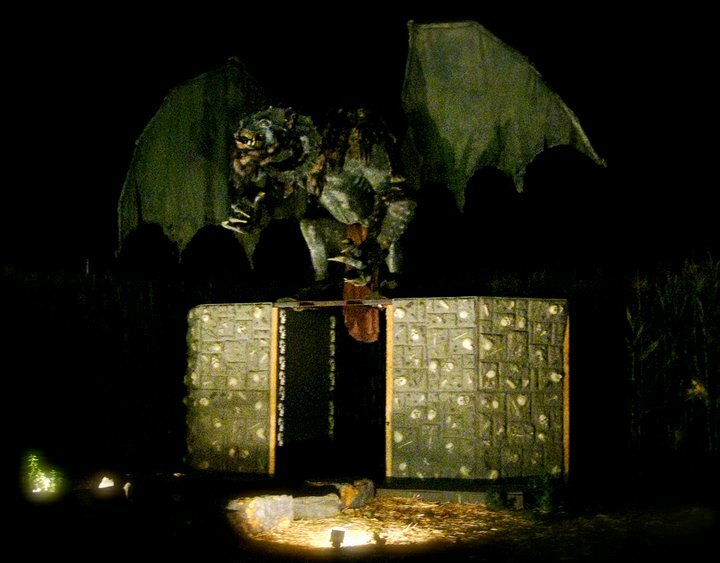 Our pick for the Best Professional Haunted House Walk-Through of Halloween 2013 is wrapping up its 15th anniversary, which promises "huge changes," including "a new addition that will scare you to the core!" Hollywood Gothique cannot wait to get out to Thousand Oaks to see what they have in store for us. Thought a singlemaze, The Reign of Terror Haunted House consists of several distinct sections, effectively combining five separate haunts into a single attraction: a spooky Victorian mansion, The Asylum, Blood Manor, Miner's Revenge, and Quarantine. Reign of Terror was always notable for its production design, which evoked memories of Disney's Haunted Mansion while relying mostly on mannequins and mechanical effects to provide the scares. More recently, the haunt has upped the ante, offering more scare-actors aggressively intimidated guests, yielding a much more intensely frightening experience. Thankfully, the more subtle spookiness of the haunted house remain, with the shock tactics used mostly in the newer sections. Variety is the spice of life - not to mention the after-life - and Reign of Terror provides ever-increasing variety. 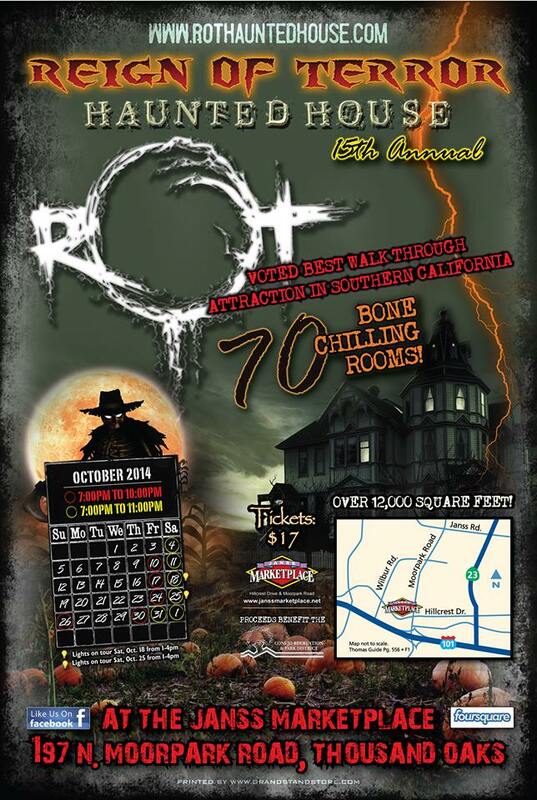 Remaining dates for Reign of Terror are October 30, 31, and November 1. Hours are 7pm to 10pm on Halloween Night and Saturday. The location is Janss Marketplace, above Gold’s Gym, 197 North Moorpark Road, Thousand Oaks, California. Click here for the website.